Lets go for a ride while the weather may be a bit Chilly. 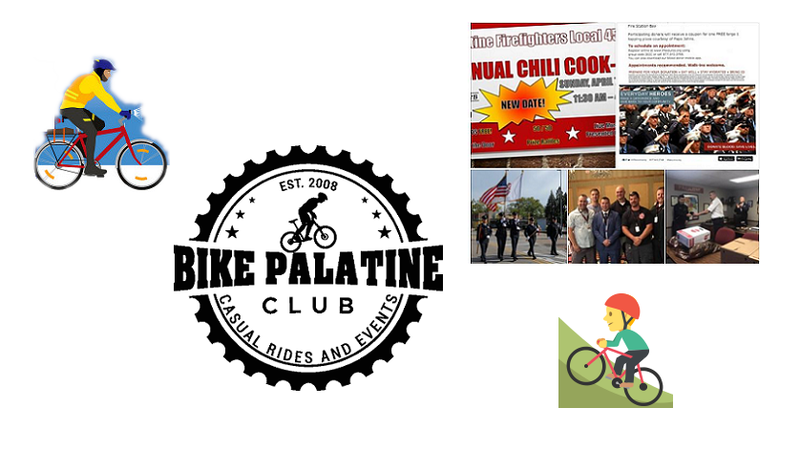 After the ride we will go have Chili at the Palatine Firefights Cook-Off at Durty Nellie's. if it's too chilly to ride, still join us and the Firefighters for Chili at 12:30p. The ride will be around 11.5 miles. Registration/Check-in at 11:15a; Ride starts at 11:30a. Be sure to check out our Facebook event.